A lack of programming literacy could be crippling: Our future world will be a digital world, where our lives are shaped by computers and connected devices. Some suggest that because those who code can create new technologies, this could be the path to entrepreneurship, or at the very least, well-paying jobs. Those who can’t code, on the other hand, are limited to being passive consumers. Coding can make kids smarter: For instance, young children who learn to code can improve their sequencing skills. The thinking skills acquired through coding, such as applying logic and finding solutions, should be transferable to other subject areas and fields. Those who start early will have more time to develop fluency. This could benefit those planning to take computing as an O-Level subject: Since 2017, local schools in Singapore have started offering computing as an O-Level subject — previously, students took “computer studies,” which has since been phased out. What’s the difference? “In computer studies… students learn about the various data types, but they don’t need to work with it. For the new subject, they have to write a program using the data types,” says a teacher involved in developing the new computing syllabus. But is coding truly a critical life skill for all children? Not everyone agrees. 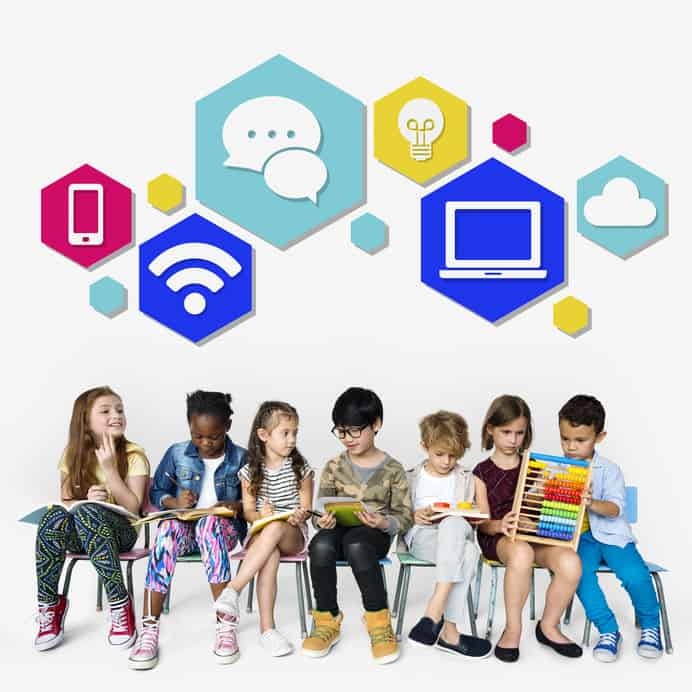 Read on for some alternative perspectives on technology enrichment, so that you can make an informed decision when choosing a coding class or activity for your child. Software developer and father Jeff Atwood is sceptical about the notion that coding is a skill all children should learn. Apart from competence, digital literacy is also about knowing how to stay safe online, and what constitutes responsible behaviour. Parents can use educational sites such as The Smart Talk to discuss online risks, rules, and boundaries with their children. A Headstart In Coding: An Exercise In Futility? Some technology experts believe (or hope) that in time, the skill of coding will be made less relevant. One such individual is Emmanuel Straschnov, founder of Bubble, a visual programming platform that lets users build web apps without typing code. Also, the belief that one needs to start coding at a tender age is largely driven by greed and fear, rather than solid evidence, says psychologist Jim Taylor. Instead, Taylor recommends returning to the activities that children have loved for decades — outdoor play, interacting with other kids, sports, art, and music — which he says will be “far more enriching” in the long run. That’s not to imply that everyone should steer clear of coding classes. 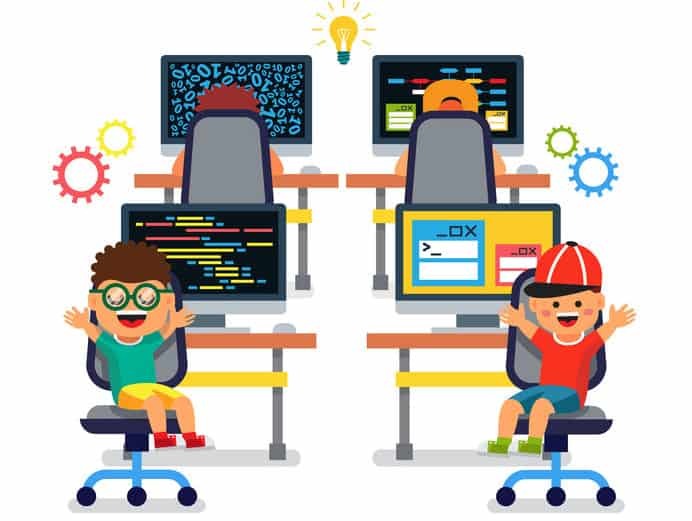 Coding may be an area of interest or even a passion for some children, and they should be given ample opportunity to explore the vast potential of code. What you should avoid, are coding schools that promise an accelerated experience, or where your kids don’t actually get to build anything. Also, be aware that coding bootcamps are not highly regarded by employers, and that many who succeed in computer science are self-learners, because even computer science departments in universities are unable to keep pace with new developments in technology. In fact, there is a government programme in Singapore, dubbed the Digital Maker Programme, which aims to distribute 100,000 micro:bits to children and adults by 2019, in order to teach basic coding skills. Xinmin Secondary School trialled the device last year, and one of its students Adora Lian, then 13, created a music player using the micro:bit, along with crocodile clips and a mini speaker. It took her 20 hours of coding lessons and 10 hours of actual coding to create the player, which played two songs. She told The Straits Times that she had plans to add more songs to the player, as well as volume control functions. If your budget is more generous, you can also check out Piper, a build-your-own-computer kit that has been given the thumbs-up by Apple co-founder Steve Wozniak and Atari co-founder Al Alcorn. However, don’t despair if your child decides that coding is not for him or her. If you can’t code, you can always partner with someone to bring your ideas to life — and that’s advice from the best of Silicon Valley.